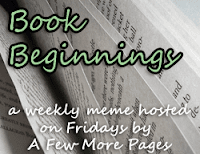 Book Beginnings on Friday is a weekly bookish meme hosted at A Few More Pages. To participate, share the first line (or two) of the book you are reading, along with the author and title. Also share your first impression based on that first line! This week I started reading Scott Fitzgerald's The Great Gatsby and I loved it right from the first line! He didn’t say any more but we’ve always been unusually communicative in a reserved way, and I understood that he meant a great deal more than that. I think I know a little something about being "unusually communicative in a reserved way!" I just love how simple, swift and communicative the writing is - I am thoroughly enjoying the book, you will too! Ugh! I've read The Great Gatsby twice, and greatly disliked it both times. I'm glad you're enjoying it though! Mandy - Really? Wow, well I liked it up till now, anyway! Thanks for warning me, though!! Nice beginning! I think I was supposed to read this in HS, so naturally I disliked it then. But I've got it on my Nook, waiting to be read in my adult years. Thanks for participating in Book Beginnings! Nice quote, Priya! 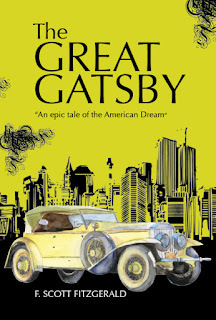 Wonderful to know that you are reading and enjoying 'The Great Gatsby'. I read it many years back, but I think I wasn't mature enough to appreciate it. I need to read it again one of these days. Happy Reading! Katy - Oh, then I am glad I didn't read it in school, I'm sure I wouldn't have liked it then either!! Thanks for stopping by, I'll make sure to take part every week! Between The Lines - Doesn't it? That's what I am doing; reading the classics, which I should have read by now!! The Great Gatsby is a really quick read, you should definitely read it too! Vishy - Thanks!! Seeing as how almost everyone I know read most classics "years back", I am making it a point to read them now! And I'm loving this very literary break from ol' fantasy fiction. Now whenever people burst into conversation about classics, I won't feel so left out!